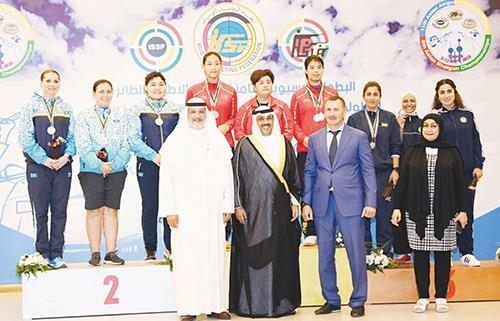 (MENAFN - Arab Times) KUWAIT CITY, Nov 10, (KUNA): Kuwait won two medals at the Asian Shotgun and Air Rifle Championships on Friday, raising number of medals to six. Sarah Al-Hawal won the silver in the Trap competition, following China. But Team Kuwait won the bronze in the same competition, coming behind China and Kazakhstan respectively. Chinese shooters, meanwhile, won gold and silver in the Pistol 10m event in the Men category, while India dominated the event in the Junior category. Duaij Al-Otaibi, chairman of the organizing committee and president of Kuwait Shooting Club, said the championship featured nine world records. The dual competition event, held at Sheikh Sabah Al-Ahmad Olympic Shooting Complex, runs until Nov 12.